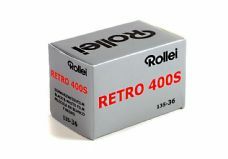 Rollei 400S is a high speed film ideal for fine art work or as a general purpose film. 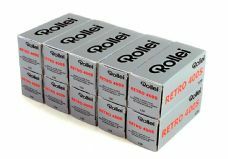 Made in Belgium by Agfa Gevaert, the emulsion features extended red sensitivity to 750nm thus enabling infrared effects when the requisite dark red filter is employed. 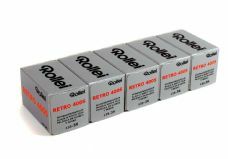 The film is derived from Agfa Aviphot Pan400S, formulated for low to high altitude detailed mapping applications! This makes it very interesting for pictorial photographic applications and the IR sensitivity enables penetration of haze in landscape photography. 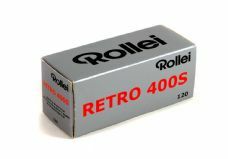 NB: although the nominal rating is 400 ISO, in our opinion (from seeing a lot of it in our lab) the film is not this sensitive and in fact benefits from a bit of overexposure (try bracketing shots at 320 or even 200 to see if you prefer the results). 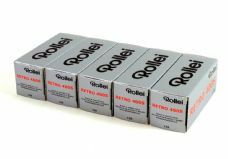 As it's a very thin emulsion, it is also completely unsuitable for push-processing and we strongly recommend against underexposure with push development in mind; extended development just takes all the emulsion off of shadow areas resulting in very thin, overly contrasty negatives. 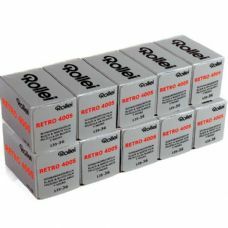 Stick to the old favourites of HP5 and Tri-X if you need a B/W film to push!